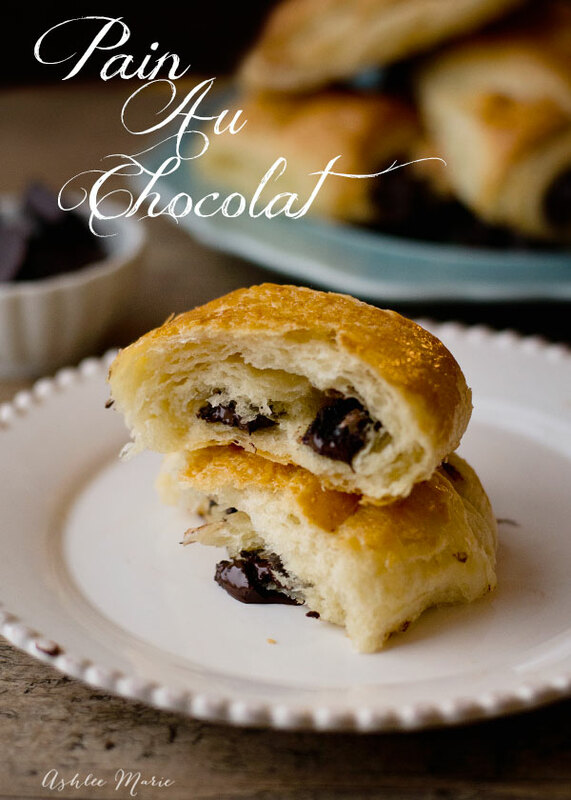 Today I’m sharing one of my absolute favorites, Pain au Chocolate is what I get for myself at any bakery I go to. 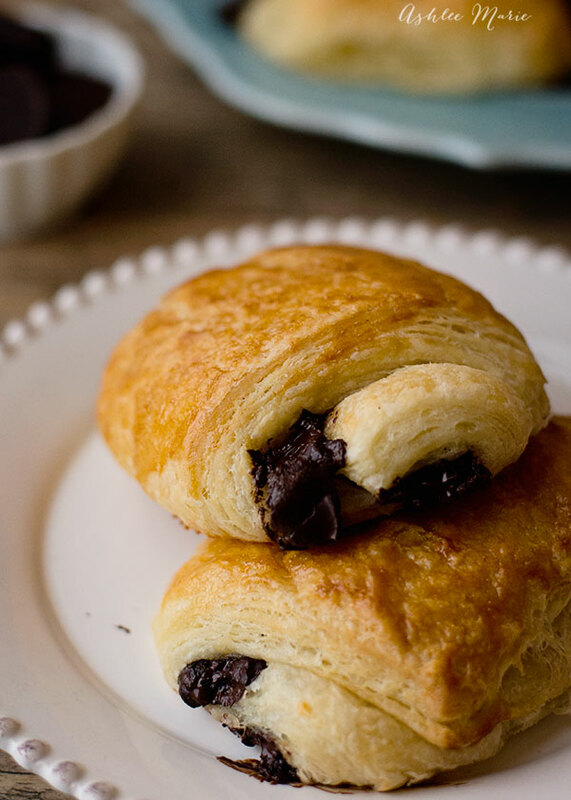 It’s basically a croissant filled with dark chocolate, Mmmmmm it doesn’t get much better! These are a seriously not as hard as you think, it all comes down to taking your time and making the dough right. I have to assume if your reading my blog that you love chocolate as much as I do… and breakfasts, and desserts, and pastries, etc.. So this treat is RIGHT up your alley, right? I know most people are scared of making layered pastry doughs, and honestly when I first started I had a few fails too, seriously bad ones. But all it really takes it patience, don’t skip a step, take your time and it will be so worth it, I promise! In your mixing bowl add milk, yeast and sugar together and let proof about 10 mins until the yeast is dissolved. Let the dough sit (covered) for 1 hour (or until doubled in size. With your hands, on the counter (or in your Bosch) mix the cold butter and 3 Tbsp flour until it is smooth and without lumps. Work quickly to keep the butter cold. Roll out the dough one more time, roll into thirds again, wrap in plastic wrap and refrigerate, this time for an hour or overnight (4th turn) (at this point the dough can also be frozen, let thaw completely before proceeding.). Cover with plastic wrap sprayed with non stick spray, like pam or bakers joy, and let rise until increased by almost half, 1 1/2 - 2 hours. 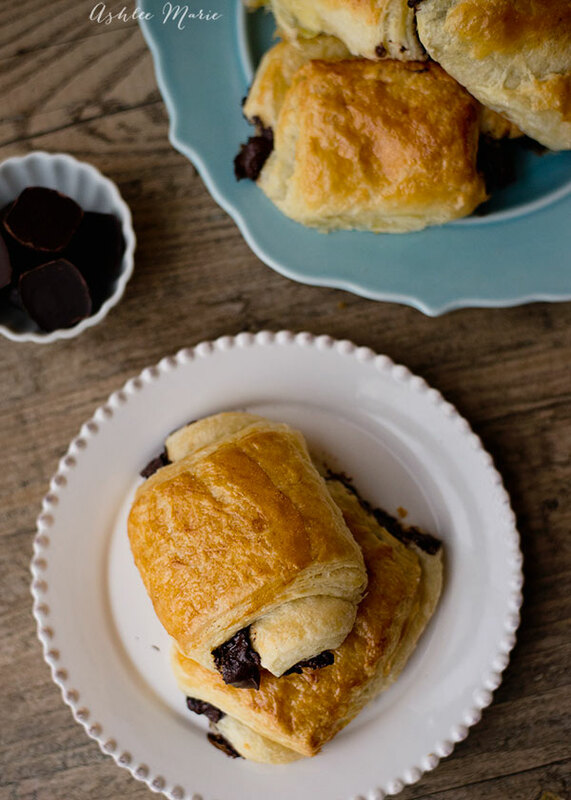 Brush each pain au chocolat lightly with the egg. Bake at 375 for 20-25 mins. SOOOOOO what do you think? are you going to give it a try? 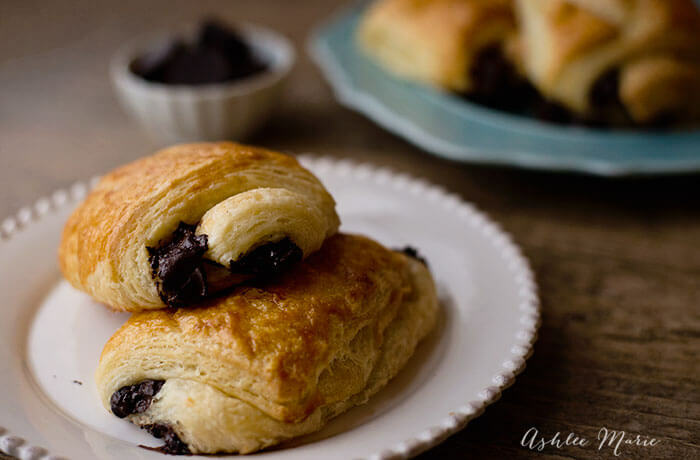 Have you ever made your own croissants before? What’s holding you back? and do the videos help at all??? ?